One of the most important archeological sites in Catalonia! The Ruins de Empuries are Greek and Roman ruins situated in an absolutely stunning location just behind the beautiful beach of Sant Marti de Empuries, in the picturesque Gulf of Roses on the Costa Brava. The Empuries Ruins are an ancient port city, known to the Greeks as Emporion (meaning market) who created the city in the 6th century B.C. and to the Romans as Emporiae, who created a new city at the same location at the beginning of the 1st century B.C. 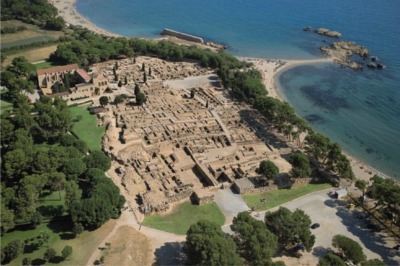 The Greek/Roman ruins at Empuries were considered to be the gateway to the Iberian Peninsula for the classical cultures. The ancient city of Empuries was abandoned in the second half of the 3rd century as Girona, Barcelona and Tarragona grew in size and became more important. The Empuries people didn’t go very far though, just a kilometre or so up the beach to the beautiful tiny village of Sant Marti d’Empuries. 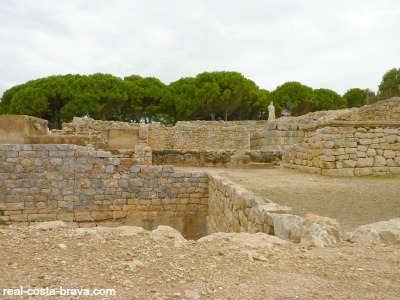 The Empuries Ruins were discovered in 1908 and excavations are still going on. Presently, only 25% of the large site has been excavated. So a lot more treasures await discovery. 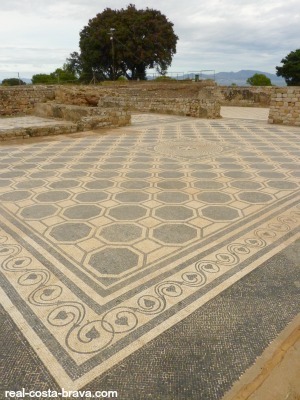 I think the loveliest things at the ruins are the beautiful roman mosaics floors. It takes about 1 hour to walk around the ruins and about another 20 minutes or so to visit the onsite museum. Where Are The Empuries Ruins? There is a car park on site. But you can also walk here from L'Escala or Sant Marti de Empuries. For more information and details of opening hours and entrance prices please visit the Empuries Roman Ruins website.